Tuesday night Feb. 5, Chabad Jewish Center of Petaluma hosts WWII French spy Marthe Cohn. 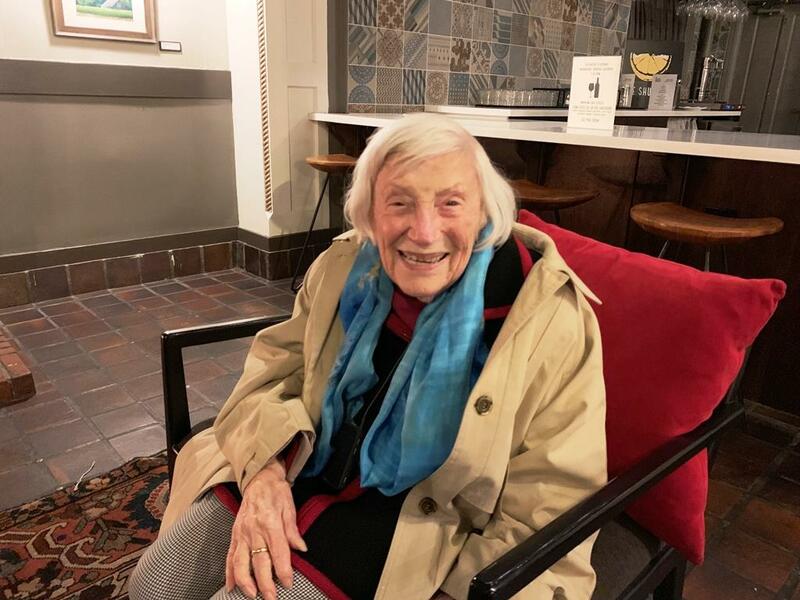 The 98-year old’s 2002 memoir, Behind Enemy Lines (written with Wendy Holden), tells the story of how Cohn, then in her 20s, slipped into Germany as the war wound down in 1945. Blonde, 4 foot 11 inches tall, and fluent in German, she pretended to be a German girl searching for her lost boyfriend. All the while, she was sending information about German troop movements to the French army. She met with KRCB news director Steve Mencher Monday night, before her Tuesday talk. "Cohn and her husband were about an hour late arriving in Petaluma from LA. They live in Rancho Palos Verdes, about an hour from the LA airport. It was 8:30 at night, and Cohn hadn’t eaten, but she insisted on doing our interview right away – sorry she’d made me wait. "After some small talk, she told me about one of the incidents that had spurred her to action during the war – the torture and execution of her boyfriend Jacques, who had unintentionally killed a French Nazi collaborator in a kidnapping gone wrong."